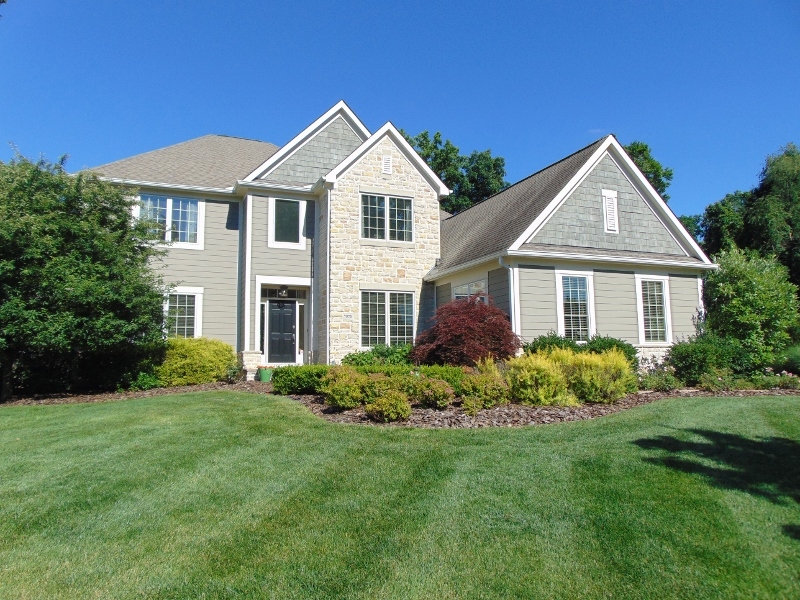 GORGEOUS, CUSTOM HOME ON A STUNNING, ~1/2 ACRE WOODED LOT! This executive 5 Level Split features an open concept floor plan & “coastal” feel that will make you feel like you’re living on vacation! Chef’s “Dream” Kitchen with S/S appliances, granite counters, bisque cabinets, & huge island. Hardwood floors on all finished levels. Owner’s Retreat on separate level with private spa bath & walk-in closet. His & Hers offices/Dens. Huge Lower Level Recreation Room with Half Bath. Laundry Room with sewing/craft space. High-end wood work & cabinets. Duel furnaces & h2o tanks. HEPA filter & HALO H20 filtration system. Screened Porch with composite decking. Inviting outdoor living space with huge paver patio, hot tub, stone fireplace with mounted TV & surround sound. 4 BRs, 4 Full & 2 Half Baths. Over 4,000 SF! Gahanna Jefferson Schools. Only $617,900! Call DeLena today!